The Community Suppers are back. 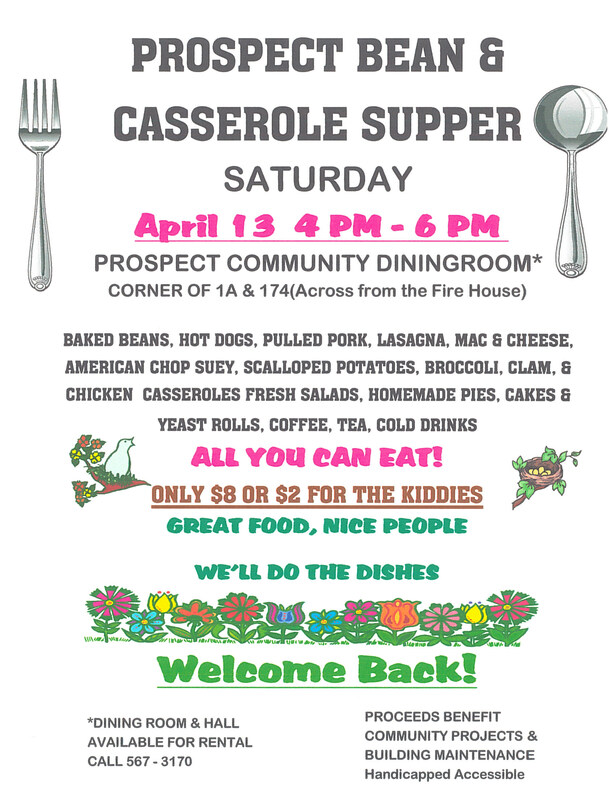 The 1st supper of the season will be April 13th 4pm-6pm. $8 for adult $2 for children. 567-3170 She will be more than happy to assist you!